Cardo Systems, Ltd. and its affiliates (“Cardo”) consider your privacy as very important and we take seriously our responsibility to take all commercially reasonable steps to maintain security and protect your privacy. Among others, Cardo will neither disclose, sell, lease or rent your information to third parties. 1. To register and access the Cardo Community, you provide information that does specifically identify you. We ask that you also provide a screen name or handle that may be viewed publicly. This is the best way to anonymize yourself to other users. You can choose if you want to display or hide your full profile to friends or the public or not at all. You will enter information to assist you in pairing swiftly by computer. If you choose to do so, you may enter information about persons you ride with for ease of pairing.  The information you post publicly is accessible to Cardo. 2. Any information you provide. When you register and/or create an account for using our Services, the ‘Community’, page, ‘Contact us’, or otherwise, you provide your information such as your name, email address, and location. For some pages, within the registration, you may also include additional voluntary details such as your gender, birth date, Cardo headset serial number, your helmet and vehicle details, purchase date and store details. We may send you an e-mail to the e-mail address you submit to confirm your registration. If you choose not to create an account, you may not be able to access or use certain features of the Products or Services, including without limitation the support services. When you download the App, the App. will recommend to you to register in order to have access to advanced capabilities of the App. Such registration is not mandatory. If you choose to register, you will be requested to provide your name, email address and password. The App connects to the Product (your Cardo device) through Bluetooth, and will recognize the device details (serial number) with no further details on your identity (other than those submitted by you upon the registration to the App., if you registered. 6. Log Information – Our servers may log and record information including Internet Protocol address, browser type, date and time of your request, among other information. We may use such information to analyze trends, diagnose problems with our servers, administer the Services and the Website, track users’ movement around the Services, identify you for the duration of a session and gather demographic information. 7. User Communications. When you enter information and email addresses or any contact information, we may use that information to, for example, contact you. You may be added to a mailing list. If you share your information with event organizers, post in a discussion forum, communicate with a group, etc., that information may be stored, processed and distributed as applicable within the Website. 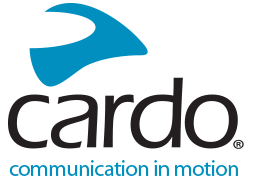 In so doing, Cardo may associate your communication with you. 8. Unique number – when you sign up we may identify you with a unique number or other code. 9. Third Party Applications – From time to time, as we determine what improves the portal/website, Cardo may utilize third-party applications that may identify the user. 10. When you login with your username and password to use the Cardo Community, Cardo will record that you are present online. User information may be tracked for the purpose, for instance, of ensuring authorized access or enabling proper communication with Cardo or other members. 11. Information your computer automatically provides to websites, such as IP address, the type of browser you use, the domain name of your Internet provider, specific areas of the Website that you visit, user demographics, duration of your visit and site traffic purposes. This information, which is sometimes called “clickstream” data, can be collected and stored by a Website’s server. We may use clickstream data to determine how much time visitors spend on each page of the Website and how they navigate through the Website. We will only use this information to improve the Website and our services. 12. If you send an email, we may save the information for future reference. We recommend that you not send any personal information such as bank account information, credit card number or social security number. 13. Social networks. You may connect to the Cardo Community using your Facebook account, in which case we will collect your profile publicly available information. 1. We will use your information to provide and improve our Website, App, Products and Services, to send you marketing/advertisement communications that we believe may be of interest to you, to contact you in connection with our Products and Services and certain programs or offerings that you may have registered for, to send you updates or news regarding our Products and Services, to respond to a “Contact Us”, administrative request (for example, to change your password) or other request, and to identify and authenticate your access to the parts of the Services that you are authorized to access. You may choose not to receive future promotional, advertising, or other Products or Services-related emails from us by selecting an unsubscribe link at the bottom of each email that we send. Please note that even if you opt out of receiving the foregoing emails, we may still send you a response to any “Contact Us” request as well as administrative emails (for example, in connection with a password reset request) that are necessary to facilitate your use of the Website or Services. 2. We may use information and/or payment information to charge you or collect payment for Products and Services you have ordered or to provide you with a price quote for a Product or Service. 3. We may send emails or provide other information to you while you are on the Website. 4. We store the data in order to create, maintain and develop our customer relations, to market our products and services and to gain a better understanding about the needs of our present and potential customers and business partners. 5. The App is used for the operation and configuration of the Product (your Cardo device). 6. When providing us with your personal information, we may add you as a contact to our Facebook, Twitter and Instagram accounts. If you do not agree, you may remove us from your social network accounts at any time. You can control the information that you make public. For instance, although you enter your personal information when joining, for the purpose of posting or responding to information, you are free to use a handle that does not identify you to the public. Remember, any information (including personal information) that you disclose in public areas of our website, such as forums, message boards, and news groups becomes public information that others may collect, distribute and use. Please exercise caution. At all times, you may choose whether or not to provide or disclose personal information. If you choose not to provide mandatory information, you may still visit parts of the Website but you may be unable to access certain options, programs, offers, and Services that involve our interaction with you. We take security very seriously and follow generally accepted industry standards and applicable rules, to protect the personal information submitted to us. However, no method of transmission over the Internet, or method of electronic storage, is 100% secure. We cannot guarantee its absolute security or confidentiality and users of the Website use the Website and App at their own risk. Cardo may provide advertising on the portal/website. You choose your handle and what information you enter into the Cardo Website. Entering information that others can see makes it available to them. For instance, stating your name, address, telephone number, or names of friends and riding partners makes that visible to the public. Indicating your gender also makes that information accessible. If you do not wish to be identified by your name, use a handle. Advise your friends to be considerate of your needs when they make posts about you. Keep your information secure. We respect your rights under applicable laws, and, accordingly, users may opt out and have the information erased by contacting Cardo or contact us for materializing other rights they may have under their local legislation such as the right to access their data, right to correct data etc.